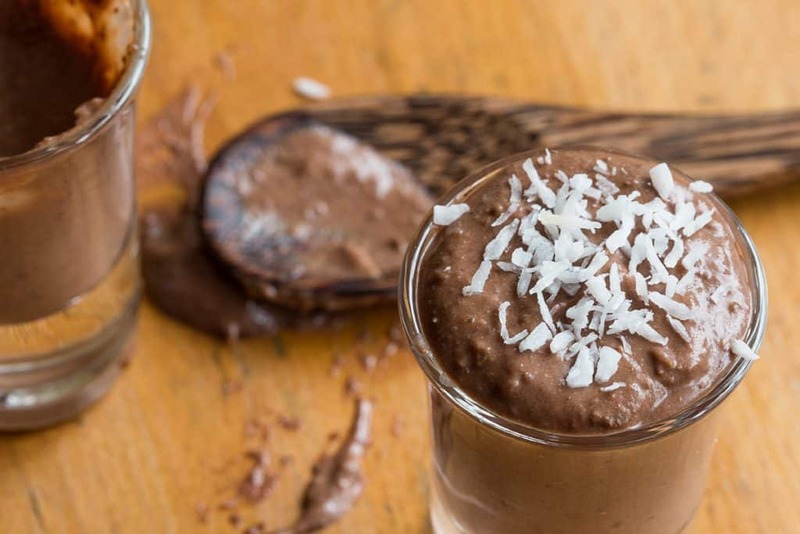 This is a super simple and quick dairy-free pudding, which is light, silky and delicious. It also works well in packed lunches too as nut free. Put the coconut milk in the fridge over night. Place all the ingredients into a blender/food processor and pulse until smooth. Divide between 6 ramekins and keep in the fridge before serving. Top with grated chocolate, desiccated coconut and fresh raspberries.